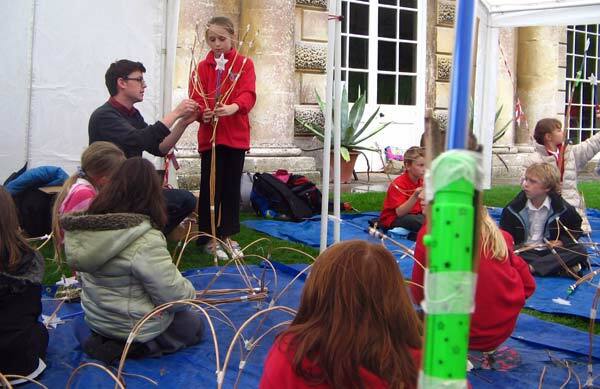 Nearly 100 young people from Pucklechurch CE VC Primary School spend a day completing tulip shaped lanterns they have been making with Dyrham Park’s Community and Learning Officer, Ben Meller, who has previously led sessions at the school. 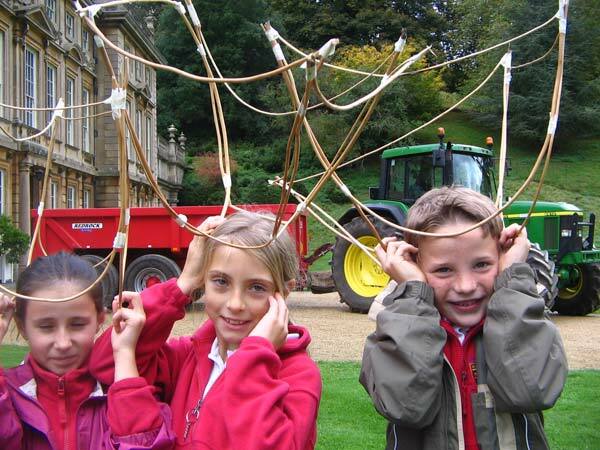 The young people have learnt about the history of Dyrham Park’s lost East Gardens and decided to make lanterns for the show, to indicate where formal flower beds once stood. 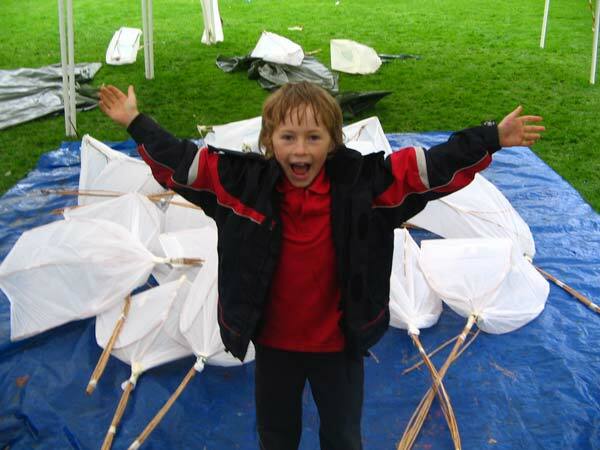 Off the bus and ready to make tulip shaped lanterns – Yarrr!!! 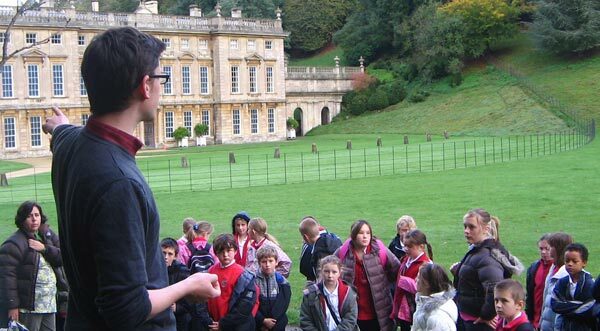 Dyrham Park’s Community and Learning Officer, Ben Meller, leads the way. 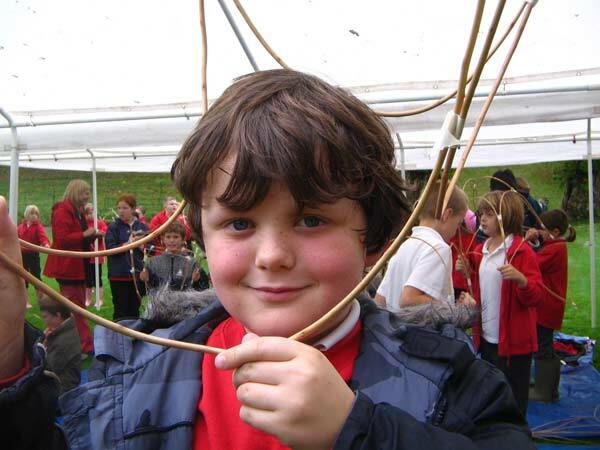 A wizard’s wand to make a tulip lantern! Ben has a volunteer (she was sat the most sensibly), to demonstrate the penultimate stage of the process. A wizard’s wand with red LED light is secured to the withy frame. This will enable the lanterns to be seen from a distance during the show, where they will indicate the outlines of structures from the lost gardens. The lanterns are covered as the rain pours down, but spirits are high and enthusiasm is not dampened as the young people decorate their lanterns with marker pens. 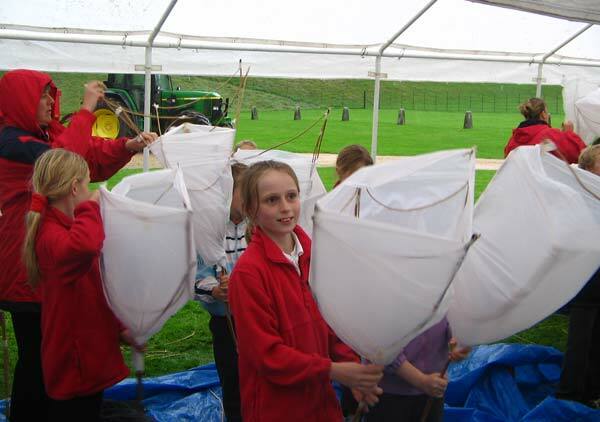 The young people from Pucklechurch CE VC Primary School have enjoyed a brilliant fun of lantern making at Dyrham Park. They now look forward to seeing how they look in the show. 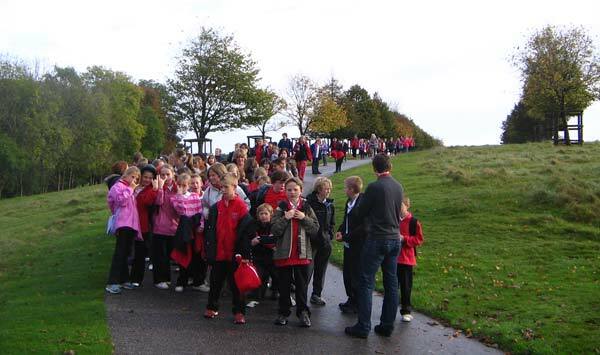 Eventually, the lanterns were used to create a path from the reception area on Old Lodge Hill to the performance vantage point. 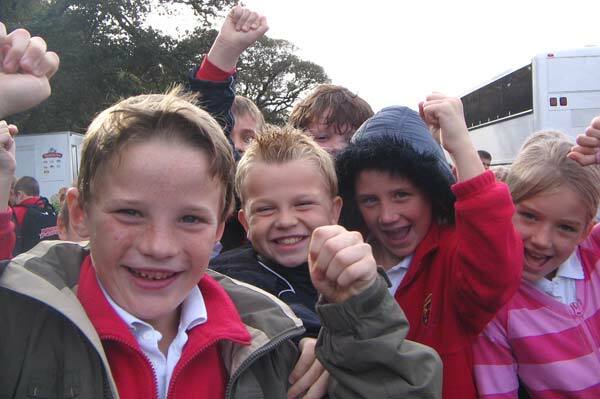 This enabled the young people from Pucklechurch who attended with families and friends to enjoy and share their contribution to the Project Neptune event. The evening was delightful. The 17th centaury food and baroque music set the scene wonderfully. We enjoyed the walk through the lighted tulips with the children, some of whom delighted in finding the ones they had made. Then to the vantage point on top of the hill where we experienced the magical reconstruction of the formal gardens in light with explosions of colour. 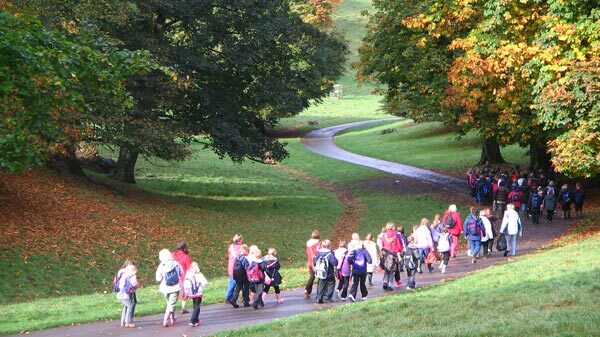 We are so lucky for our children to be able to enjoy our local history in this spectacular way, I’m sure they will remember this for a long time. Congratulations to you and Ben and everyone who had a part in making this a special event.